Back in 2016, four friends came together to launch Manchester Three Rivers Gin and its award-winning Gin Experience. 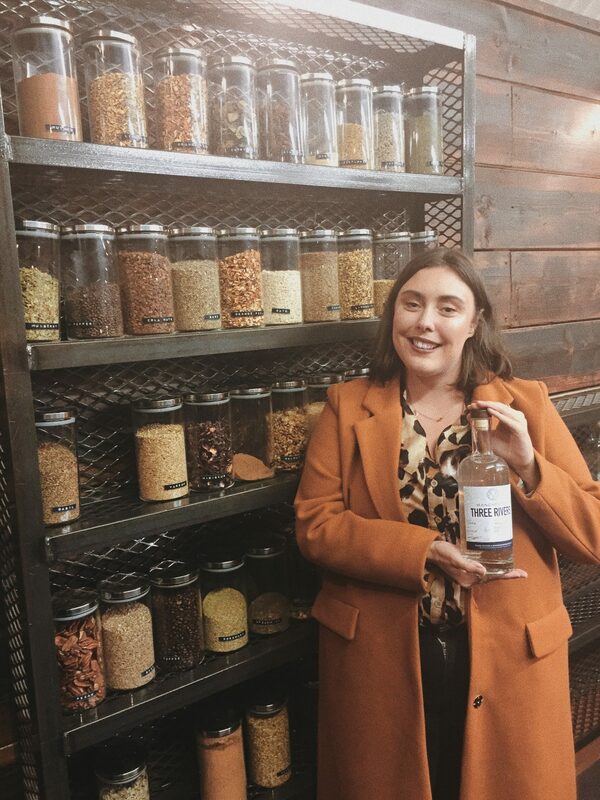 The City Centre’s first ever gin distillery, located in the railway arches of the Green Quarter, is expanding its Gin Experience due to popular demand. The 3-hour, immersive experience has become one of Manchester’s top tourist experiences, jumping to the ‘Number One Thing to do in Manchester’ on Trip Advisor. I was invited down to the distillery a couple of weeks ago to try out the experience which has been given countless 5 star reviews and comments from attendees worldwide. Upon arrival, we were greeted with with a the Three Rivers perfect serve with tonic. After settling in with our first (and certainly not last) taste of Three Rivers, we started off the evening with a video all about the history of Manchester and gin. We learnt so many interesting facts, including the origin behind the phase ‘Dutch Courage’- Gin was developed based on an old Dutch liquor that soldiers liked to drink before heading into War to calm their nerves. Drink number 2 of the night was a shot of Bols, which is Gin in its original form. 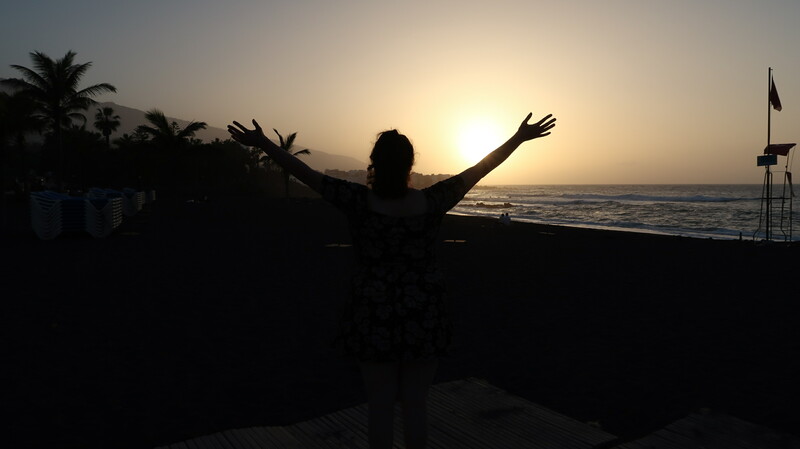 Shots on any night, never mind a Tuesday, isn’t something I enjoy, but I wasn’t going to turn it down for the sake of this review…the sacrifices for the blog, eh! We then headed downstairs to marvel at the glorious copper still nicknamed ‘Angel’, where Manchester Three Rivers Gin is created. While the gin making process was explained, we enjoyed an Aviator cocktail, a beautiful lilac drink with a sour tang, which was conjured up in 1916 New York. Next came a serving of Three Rivers neat. There was none of that usual burn-at-the-back-of-the-throat sensation you get when you’re necking spirits straight. 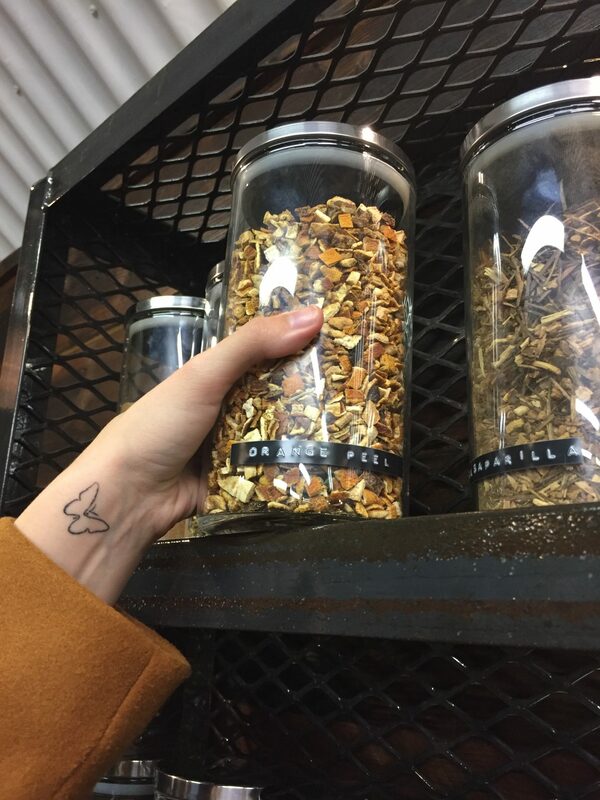 It was explained that the oats used in the distilling process helps create such a smooth blend that allows you to drink Three Rivers on its own and actually enjoy it. Then it was time to head next door to create our very own full-size bottles of gin. We each had our own work station with everything we needed to create our own bottles of Three Rivers- and of course another G+T. Creating our very own profiles on the Three Rivers database, we chose out of 50 different herbs and spices (it was recommended that we use up to five) for our own unique flavour. 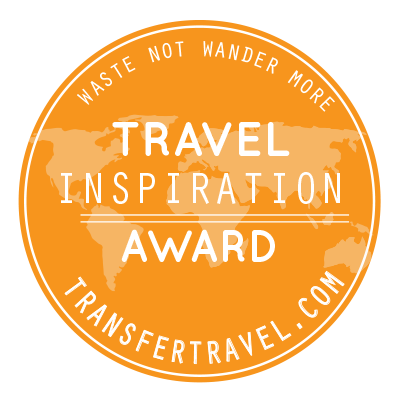 Once we had made our decisions, we added them to our mini copper stills and waited as the magic happened. I went for an orange and elderflower flavour and added in some oats for the Three Rivers signature smoothness. After the distilling process, the strength ABV was worked out (50%, thank you very much) and we bottled up our creations. Finally, we headed back to the main building armed with our bottles for one last celebratory drink. 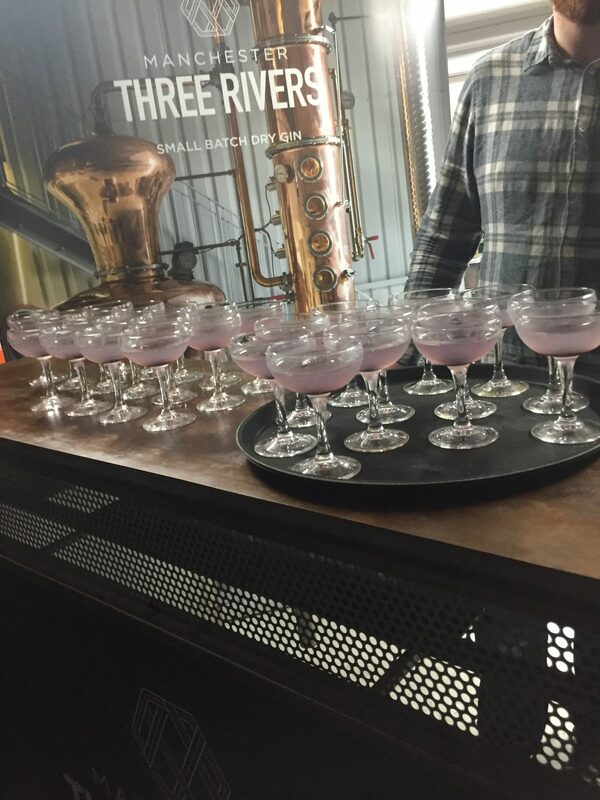 The Manchester Three Rivers Gin Experience costs just £95 and includes your very own full-size Three River creation and enough samples to have you feeling a little tipsy by the end of the evening. 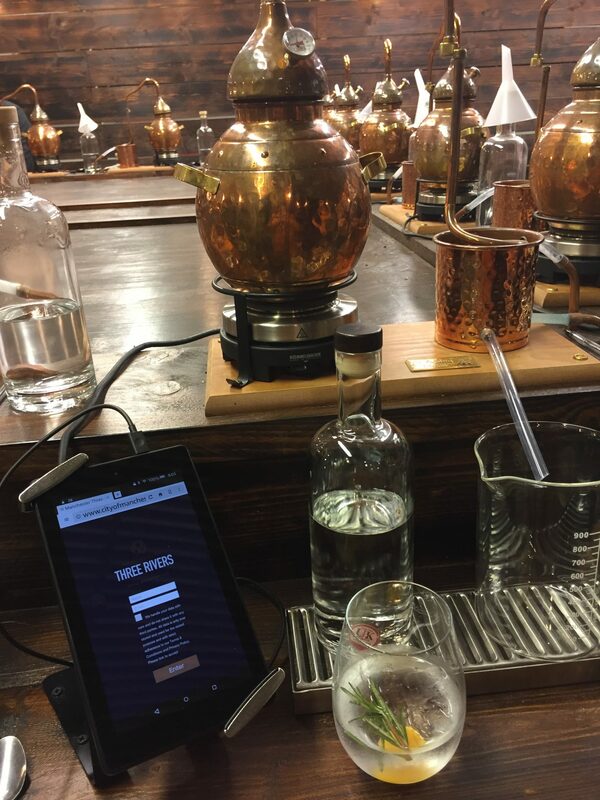 The tour runs 5 times a week between Thursday & Saturday and gift vouchers are available, making a Three Rivers Gin Experience a perfect gift this Christmas. The Manchester Three Rivers Gin Experience was gifted to me in exchange for this review. All thoughts, opinions and photographs are my own. That’s great to hear! It’s my favourite gin too!